So you’ve spotted some termites in your home and have to act. You may be amidst financially difficult times, or simply have a mind for DIY projects. Maybe you heard an advertisement for a home system of termite control with great claims that it gets the job done easily and on the cheap. 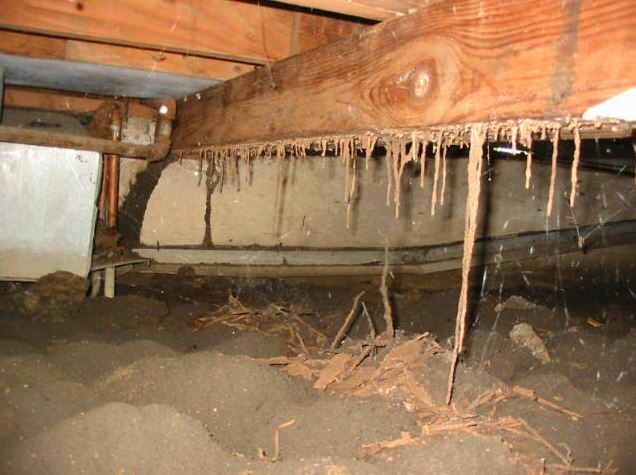 Whatever the case may be, a termite infestation is a potentially catastrophic problem. All plans of attack should be weighed out carefully. We’re not the type to discourage someone from taking on a project in a DIY fashion, but we’re also not the type to let someone take something on when the outcome is of great importance and they are not fully aware of what it will take to get it done right. So if you are thinking of tackling a termite problem on your own, here are some things to consider that will hopefully either help you get it done properly, or weigh in towards your final decision to hire a professional. While many products claim effectiveness and ease of use, the real breaks behind a termite problem are the many factors to consider. For one, you will want to have a very in-depth understanding of the nature of termites, their patterns and behaviours. One must know his enemy well, and in the case of termites, this means understanding where they are likely to go, what they are likely to eat, when they are likely to eat it and so on. It is not enough to simply place some baited traps haphazardly around your house. You have to determine where the colony is coming from and place traps accordingly. You must also consider the relation of space between each trap. If a trap is too far from another, then there will be a gap of space between bait points in which the termites will pick up the trail on your house stronger than the distant bait. Aside from carefully measuring out where to place traps, they will also need to be carefully monitored and the bait will need to be replaced frequently. Termites are not an easy thing to kill. They are genetically related to cockroaches, yet termites are even worse than roaches according to studies by experts who say that the termite is the most successful insect species in the world. Termites are the only species of insect which can be found on every continent and in every climate. These things are survivors who won’t go easily. Why are they so tough to kill? There are many factors to this, such as the fact that they breed in massive numbers. No matter how many of them you manage to kill, unless you wipe out the entire colony, they will just regenerate their numbers in very little time and be right back to munching away at your house’s weight bearing structures. Some think that termites are similar to ants in that you only have to remove the queen to collapse the colony. Termites have the ability to just produce more queens, who literally just lay there pumping out termite baby after termite baby all day and night! There is a reason that exterminating termites professionally is a successful business, and that is because it takes a lot of knowledge, experience, and work to actually pull it off legitimately. If you are up to the task of really studying the ins and outs of termite exterminating and being diligent about choosing the best bait, placing, monitoring and replacing traps, and you learn enough of the subject to be confident of your methods while also taking care in handling dangerous pesticides, then we commend you and wish you luck. Most people, however, are not really aware of all that is involved or they are not really up to the task of doing what it takes to get the job done properly. 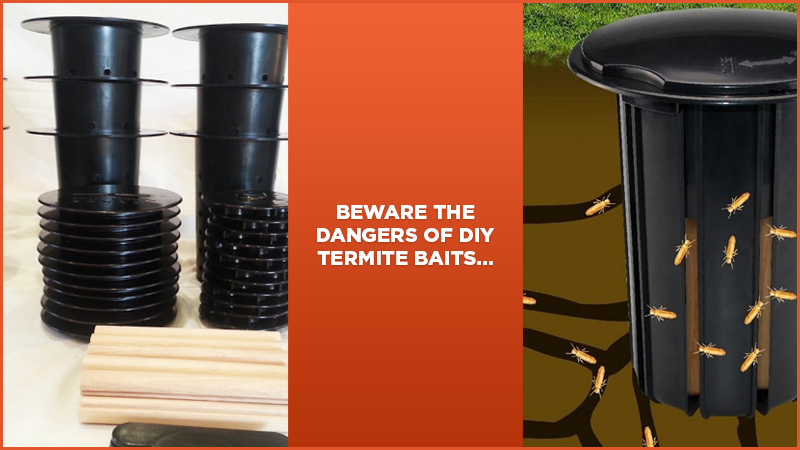 Professionals know what to look for when installing termite baits. It’s quite difficult to do all of this while maintaining a busy lifestyle of your own. A venture to learn a new skill or an effort to be frugal and save money is all fine and well, but when you consider the severity of what can go wrong in the case of a termite infestation, it is probably best to just chalk up your losses, pay an expert to do what they are well trained to do and enjoy the peace of mind knowing that the problem will be dealt with correctly. 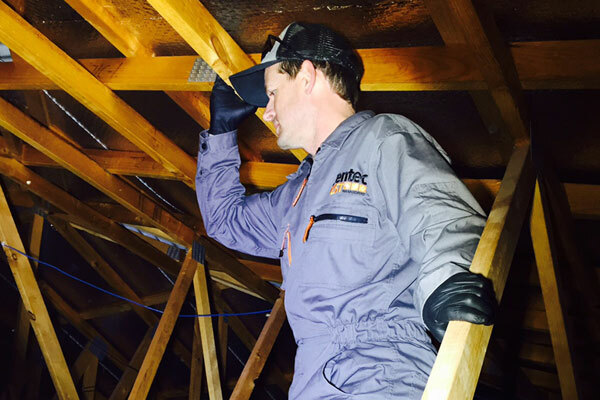 While experts may be more costly then DIY products, unknowingly giving termites the chance to eat the roof away from over your head is so incredibly more costly that it makes the exterminator’s price feel very fair. We’re not here to discourage anybody, but only make sure they are ready for the fight ahead. Whatever method you decide to go with, good luck and god speed!